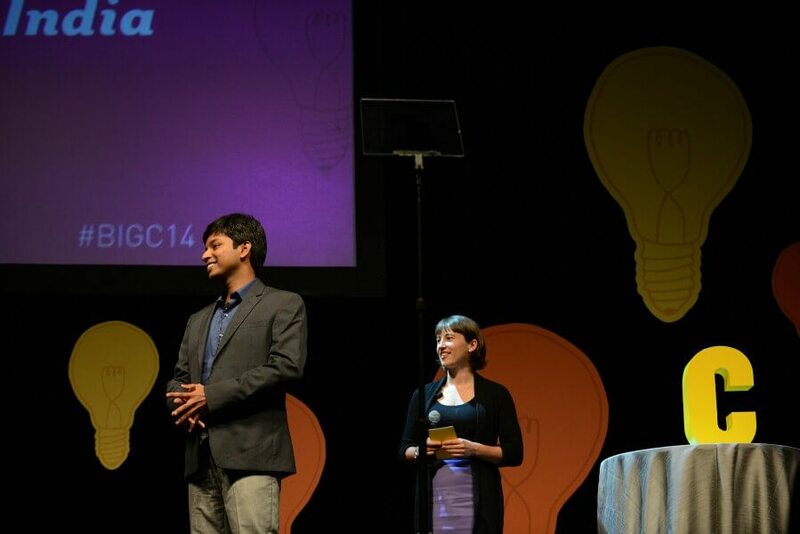 Sushanth Kodela was 24 years old when he found out he had rare cancer – Adreno Cortical Carcinoma. Interestingly, like the curious case of Benjamin Button I also began looking younger than my usual age. All these meant nothing, made no sense and life would go on as usual. I finished my graduation but the assurance from my doctor that the gynaecomastia will go away with age never happened – rather the condition persisted or only got worse along with pain and tenderness. With the symptoms getting worse I become very conscious of my body image and started looking up on internet about reasons for gyneacomastia. I looked up all probable conditions that would cause gyneacomasstia and ruled out several, however, hypogonadism caught my attention. I noticed that I had many symptoms associated with hypogonadism but I never had the knowledge of the symptoms associated until I read about it. I immediately went to an endocrinologist confident that I am suffering from hypogonadism. Despite the hormonal replacement therapy treatment by the endocrinologist nothing much changed and soon things deteriorated when I moved to Mumbai to pursue a degree in social entrepreneurship at the prestigious Tata Institute of Social Sciences. I was perpetually sick through my entire semester with persistent low fever, palpitations, breathlessness and rapid weight loss. By the end of the semester I weighed only 52 Kgs down from 65 Kgs before joining TISS. Around the same time I noticed that the right side of my abdomen was solid rock. I continued to ignore the symptoms as in a few days I would anyway leave home for my semester break. My parents looked perplexed at my appearance and we immediately consulted our endocrinologist while I presented myself with the newly discovered mass in the abdomen. This was the first time in several years of my suffering that led to the discovery of 21 x 16 x 9 cm mass in my abdomen. 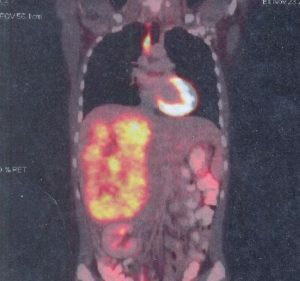 The primary diagnosis led to a suspicion of adrenal cortical tumor, I underwent several scans and blood tests which pointed to the possibility of the tumor being potentially cancerous. However to find an experienced oncologist who would instill confidence and agree to operate upon a rare tumor proved to be a difficult task. Fortunately after nearly a month we finally found an surgical oncologist in Mumbai who agreed to take up my case. By the time I stepped out from the ICU after a successful surgery I weighed nearly 48 kilos. This is the first time I had to face the reality of what life can challenge us with and my life changed after this. One day for the first time post my surgery I stepped into the washroom and was looking into the mirror. I stared at the image and broke down looking at my own reflection in the mirror; I did not recognize my reflection as I failed to identify myself. That image probably is the harsh reality that many cancer survivors probably have to go through. There was none that I could talk to, speak out my fear that I do not want to look in the mirror or that I do not want to die when there is so much more left to do, explore and experience in the world. 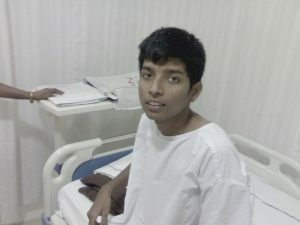 While at hospital I kept hoping that some miracle would happen and I can get back to my life and pursue my own career. Few days later the histopathology report diagnosed it as Adrenal Cortical Carcinoma, my heart sank and I completely broke down, angry that life is being cruel and unfair to me. I was forced to take up a challenge which I never even dreamt of in my worst nightmares. This was merely the start of the diagnosis and I was expecting more treatment so that I could survive by beating the disease. However to my surprise further treatment was not possible because the only life saving drug for this cancer type was not available in India. I further ran around the country trying to seek opinion from various doctors and hospitals in the country. After several opinions we decided not to undergo any further treatment due to several complex reasons both medical and non-medical. It has been three years since the surgery and I am still surviving and there is no evidence of disease. After cancer I realized how fragile life can be. Many of us will have to face challenges that we do not wish for and even the strongest soul cannot win all battles, however the choice to take upon the challenge and accept the reality and deal with it in the best possible way within our capacity remains with us. While I struggled to make sense from all these experiences it was also probably the best opportunity for me to introspect upon my life thus far. Forgiveness became easier, it was easier for me to accept my own shortcomings in life. I was able to arrive at different conclusions regarding some past incidents of life. From blaming someone earlier to now believing that probably I am not all perfect. From someone not being there as a friend for me in my difficult times to me thinking if I was there for others in their difficult times. I could ask all the hard questions in life and could understand myself a little better. I felt more conscious of my actions post my experience with cancer. I now try to make a conscious effort to lead a better life though I may yet not be anywhere even close to that but yes I am certainly better than I was yesterday. What is your advice to people reading this? What are the symptoms to look out for? Cancer is a difficult disease and unique in each case. Now one cannot possibly learn about all the symptoms for various types of cancer or other possible diseases. However one has to listen carefully to what our body is communicating with us and pay attention to it. When you notice something abnormal do not ignore, get it properly diagnosed to your satisfaction. I believe our body treats us the same way we treat it. If you are a cancer patient don’t be too harsh on yourself. Don’t be disheartened and most importantly don’t lose hope. When I had cancer I was possibly angry with everything around me. However once I trained myself to look beyond my own suffering I felt may be its not as bad as I imagined. It is the lens we choose to look from. We can cry and blame our fate or something. Or we can find peace by accepting what it is and doing our best what we can. I can only hope that you will have those few good people in your life who will make a difference in your life. While it is not easy I can guarantee you that it is not impossible to gain different perspective about life. Thank you Sushanth for sharing your story of bravery with us. Disclaimer: The statements, opinions and data contained in these publications are solely those of the individual authors and contributors and not of Credihealth and the editor(s). Get FREE assistance from medical experts to select the best oncologist & cancer hospital for your treatment. This is indeed an inspiring story. Cancer and the challenges it throws are unprecedented.